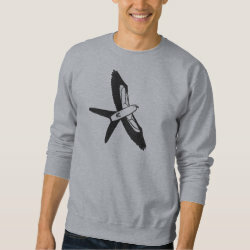 This is a simple cartoon-like illustration of a beautiful black-and-white raptor, a Swallow-tailed Kite. The bird of prey is shown in flight, from below. The striking outline of the namesake swallowtail is unmistakeable. 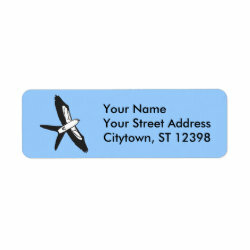 This is a great gift idea for any bird of prey lover.